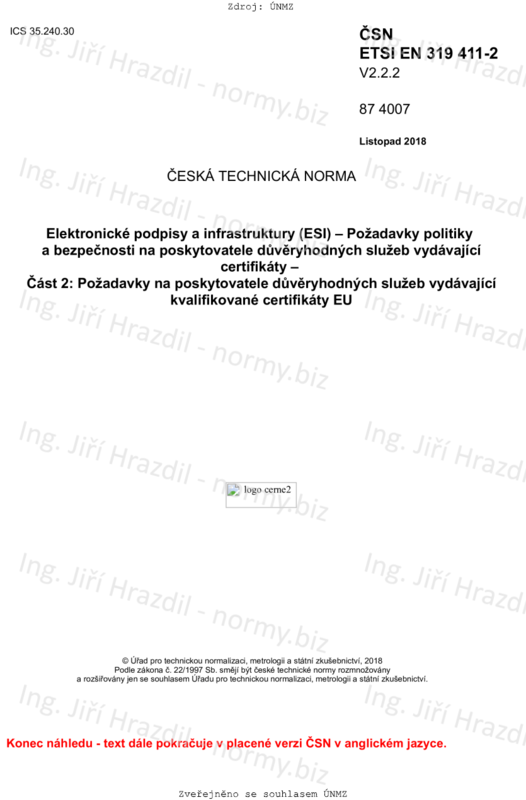 The present document specifies policy and security requirements for the issuance, maintenance and life-cycle management of EU qualified certificates as defined in Regulation (EU) No 910/2014 [i.1]. These policy and security requirements support reference certificate policies for the issuance, maintenance and life-cycle management of EU qualified certificates issued to natural persons (including natural persons associated with a legal person or a website) and to legal persons (including legal persons associated with a website), respectively. NOTE: See ETSI EN 319 403 [i.6] for guidance on assessment of TSP's processes and services. The present document references ETSI EN 319 411-1  for general requirements on TSP issuing certificates.